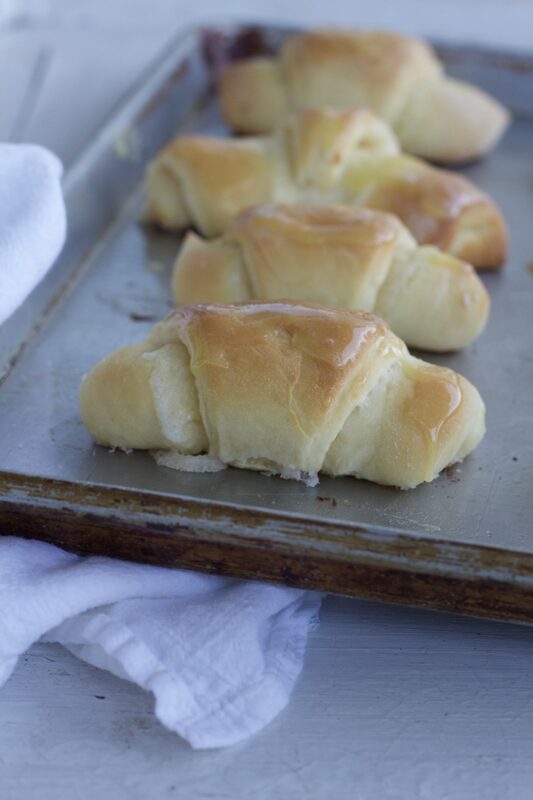 Orange Rolls with Sour Cream Glaze are a special treat your family will love! 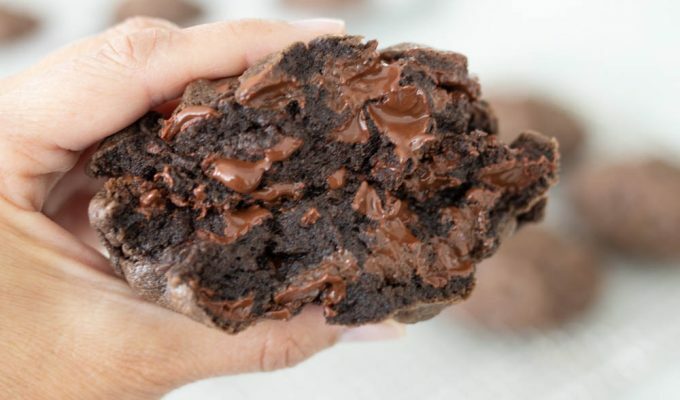 They’re sticky and gooey and filled with orange flavored goodness and worth every minute they take to make. I’m not sure where orange rolls originated, but I know they are popular in Utah and certain areas in the South. 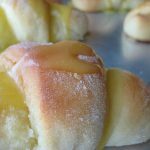 Growing up in Washington state, I never noticed orange rolls at the grocery, or in our favorite neighborhood bakery. Metcalf’s Bakery on Kitsap Way in Brememerton, WA was owned by Stanley and Lois Metcalf for 30 years. I loved going there with my mom on Saturdays. Mom and Dad loved donuts and sweet rolls. Metcalf’s was a little Mom and Pop operation which sold lots of donuts, sweet rolls and cookies. Mom always let me pick out my own special treat, which was usually a gingerbread man. The Metcalf’s finally retired in 1974 and sold their business. Sadly, local bakeries are a dying breed. There are still wonderful upscale type bakeries- but that’s a different type of sweet. My testimony to home baking: If you want to know what goes into your baked goods, and you want them to taste as good as the treats you used to pick up at your local Metcalf’s Bakery, or better yet, in your mother or grandmother’s kitchen- fire up your oven and bake something other than freezer to table items. Remember when we talked last year about making pie crust? You can do it. Yes, you can. 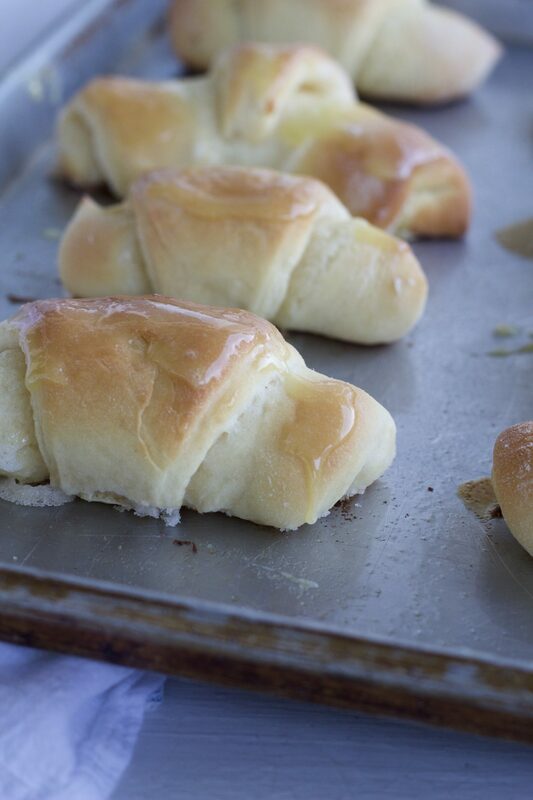 Nothing can beat the taste of homemade Orange Rolls with Sour Cream Glaze! In a large bowl dissolve the yeast in warm water. Add 2 cups flour, mix, then add in the remaining cup and a half of flour. Let rise until double in bulk, about 1 hour. Roll out first ball of dough into a 10- 12 inch circle on a floured surface. Spread with half of orange filling. Cut into 8-12 pie shaped wedges (using a pizza cutter works well) and roll into crescent shapes. Begin with large end and end with point. Set onto lightly greased cookie sheet. Let all rolls rise until doubled, about 45 minutes. 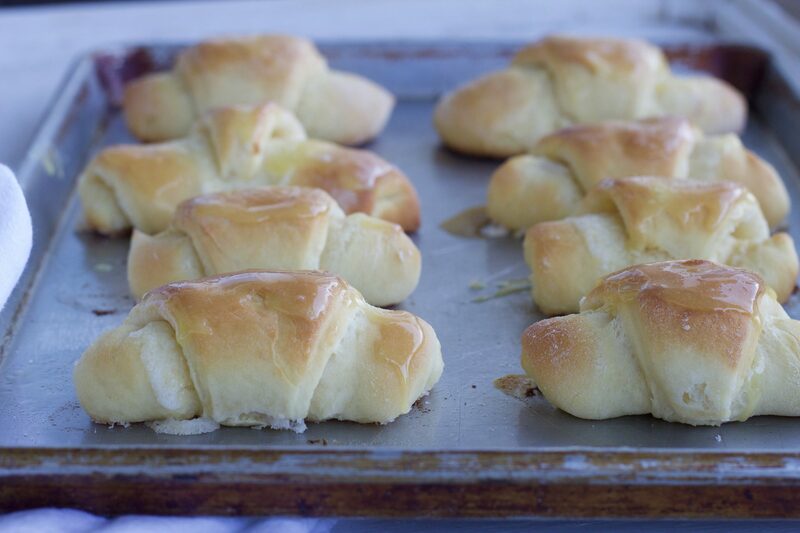 Let rolls cool on pans for about 5 minutes before glazing. Mix glaze ingredients in a small sauce pan and let boil for 2 minutes, stirring constantly. Spread glaze on rolls. Serve immediately. Tips:-I often half the glaze ingredients.-Best when served within 8 hours of baking. Very similar to the recipe we have used for years! It's a Christmas favorite we use fresh squeezed juice from the Orange instead of concentrate. Hi! Just made this dough and it didn't rise! First time that has ever happened to me. I must have killed the yeast somehow. Just trying to decide if I should try again or not. The dough was super sticky, is that typical? I live in Okinawa so the humidity is high. Maybe I should add a little more flour? Also, do you knead it at all or just mix till ingredients are combined? I just made this tonight and the dough was too sticky to handle. I ended up adding a half of a cup more flour and even then it was pretty sticky. After letting it rise, the dough became a little more manageable, but I had to roll it out into a floured surface to be able to manage it. The rolls turned out amazing though! Many factors determine how sticky your dough will turn out-such as humidity in the air, and brand of flour used. I’m so glad this recipe worked for you! What is the best flour to use? Hi Heather, I usually use all-purpose flour for this recipe. Thanks for asking!